Storage West announced that it recently completed a major remodeling and expansion of its self-storage facility located at 7007 E. Bell Rd. 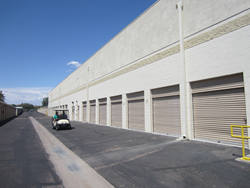 This expansion adds more than 200 new storage units to the facility serving both Phoenix and Scottsdale. Storage West has been a part of this community for over 15 years. We hope our new amenities will enhance the storage experience for both our continuing customers and for new customers who we look forward to welcoming into the Storage West family. For example, the project added new unit sizes that are popular with customers—such as 10 feet by 5 feet units that can meet customers’ need for quick access and indoor storage; plus larger, climate controlled, 10x10’ and 10x20’ units.